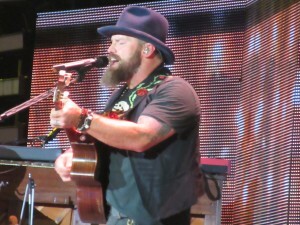 When Zac Brown Band’s Jekyll + Hyde album was released, most of the so called “critics” gave mixed reviews due to the diversity of the genres they attempted to cover. 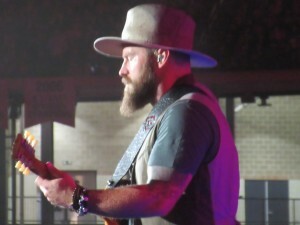 However, if any of those critics were present at New York City’s Citi Field this past weekend, they would have completely understood ZBB’s mindset with that project. I was in the pit for the first night of their two night stand, and witnessed a band truly transform into a Jekyll + Hyde monster. 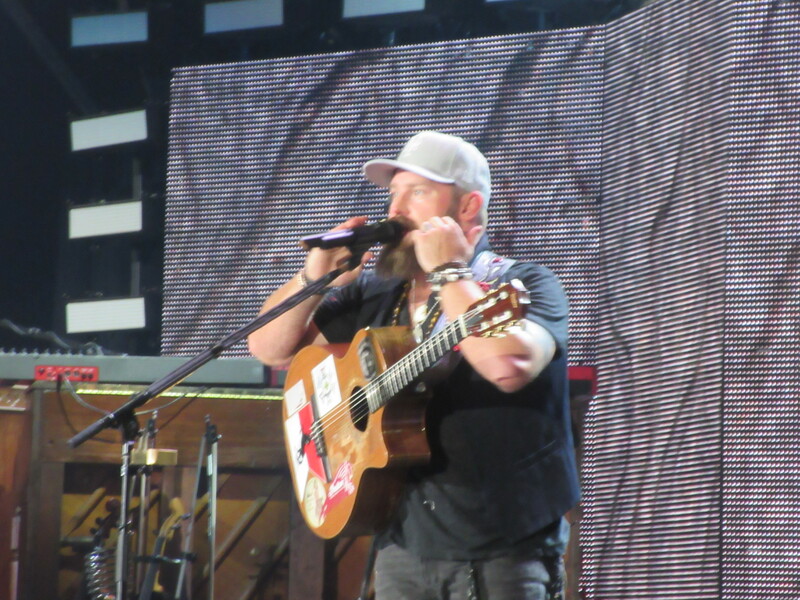 One who could sing country music songs with the best of them, but could also jam out, rock, and get people raving to EDM without missing a beat. 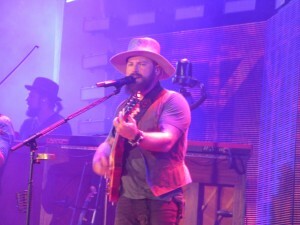 I’ve seen ZBB live numerous times before and have been at every one of their NYC shows, starting with Bowery Ballroom, and working their way up through Terminal 5, opening for Kenny Chesney at MetLife Stadium, opening for Dave Matthews Band at Citi Field, and headlining gigs at Madison Square Garden and Forest Hills Stadium. The best part about seeing this band time and time again, in comparison to most acts, is that every night they put forth a different setlist. Friday night was no different, as they opened with “Sweet Annie”, a song that just sometimes makes their setlists. 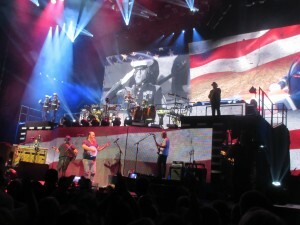 What followed was a first half of the show that included hits such as “Toes”, “As She’s Walking Away” and “Knee Deep” as well as covers from Led Zeppelin, Charlie Daniels Band, and Billy Joel, as well as a bunch of the new songs, highlighted by the moving tribute to our military with the Jason Isbell penned “Dress Blues”. During that song, two Marines came out to salute the crowd atop the third level of the ambitious stage ZBB is illuminating stadiums with on this tour. 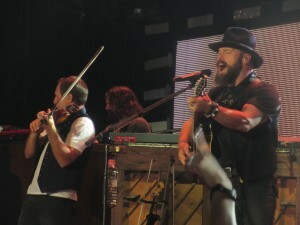 Jimmy De Martini, the band’s amazing fiddler, broke into an emotional rendition of taps mid song, and Coy Bowles had a rockstar moment as he jammed out following the fiddle. Zac Brown, who is far from chatty at his shows, took a few seconds to thank the US military post-song, as the sold out crowd berated the band with chants of” USA”. 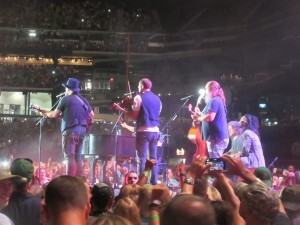 After a few t shirts were shot into the crowd by the band members, an acoustic set took place at the front of the catwalk. 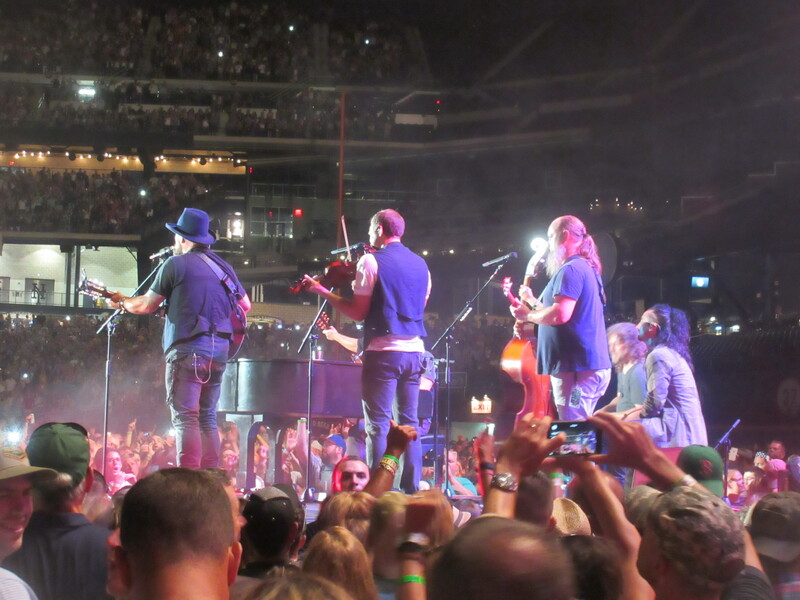 Billy Joel’s “Piano Man” and the emotional song for all dad’s who have little girls like myself, “I’ll Be Your Man” (backed by a gospel choir) showcased the true musicianship that ZBB possesses. Whether its classic rock, country, or just good old songs that tug at the heartstrings, I dare someone to show me a better live performing act in any genre of music today. 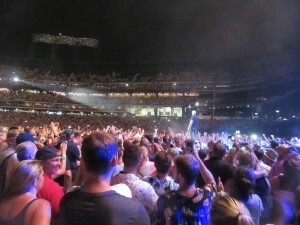 After a ten minute intermission, the band upped the ante and brought some high energy excitement to the Mets Ballpark. 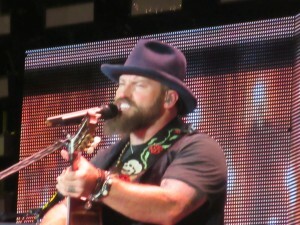 Whether it was the EDM inspired “Beautiful Drug”, which happens to be their new single, or the recent chart topper on the rock charts, “Heavy is the Head”, Zac’s face started to change to complete intensity. The gospel choir came back out for a beautiful rendition of “Remedy” and Zac ripped into Jay-Z’s “Empire State of Mind” mid way through the mega hit “Keep Me In Mind”. 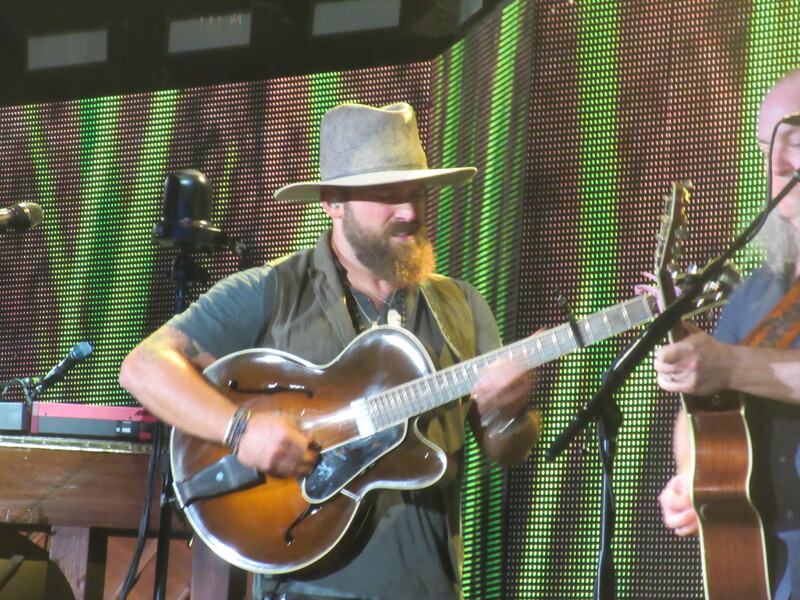 ZBB kept the crowd guessing with what was coming next and, boy, was it fun. The last three songs of the set before the encore are a perfect testament to what kind of band ZBB is. 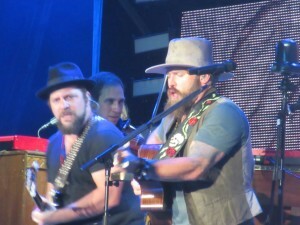 For all you critics out there, you need to listen up, this is not a country band. You cannot label them as so. Just sit there and watch them do a 21 minute version of “Who Knows” complete with Clay Cook absolutely shredding a guitar that would make Brad Paisley and Keith Urban jealous. Then watch them pay homage to a band they opened for just five years ago in the same stadium, as they performed “Stay” by the Dave Matthews Band flawlessly. Then watch them get every single person in the entire stadium singing along to “Chicken Fried”. 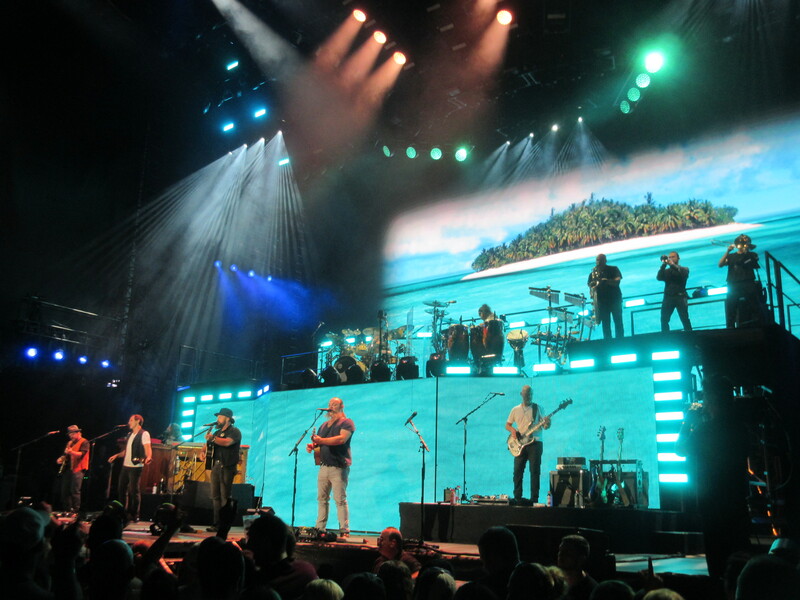 The live performance beast monster that they are touches on every single genre, just as their new album does. 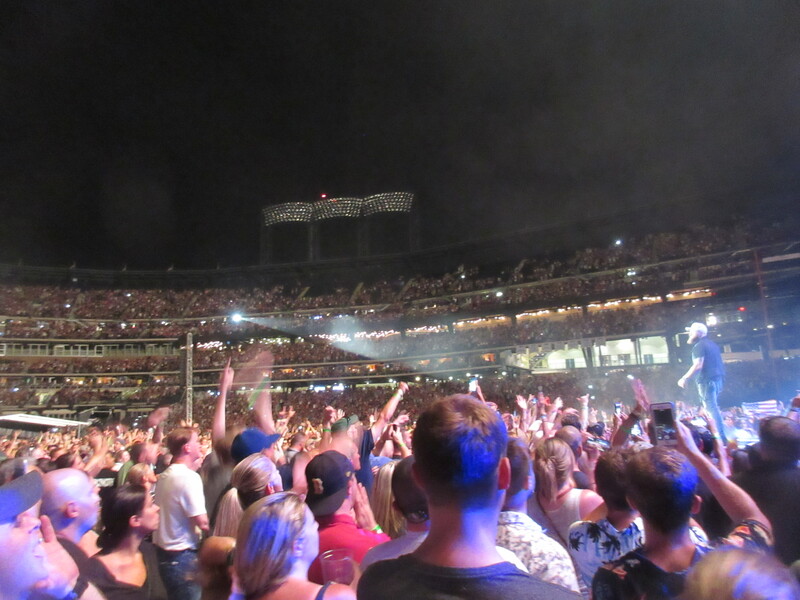 It’s meant to create a spectacle live, and they do it better than anyone else. ZBB’s encore consisted of Zac coming out with his third different hat of the night, this time a throwback Mets hat, as he walked through the entire pit shaking hands and slapping five as he belted out “Colder Weather”. And the band finished up with yet another full on sing-a-long as “Homegrown” was performed to perfection. I heard people walking out stating it was the best show they’ve ever seen and it just made me smile. 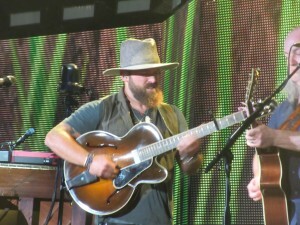 The people who see ZBB live get it, this is not a country band. It is a unique creature that executes on stage better than anyone else out there today.